Experience an all-round appliance that works in harmony with your day-to-day life. 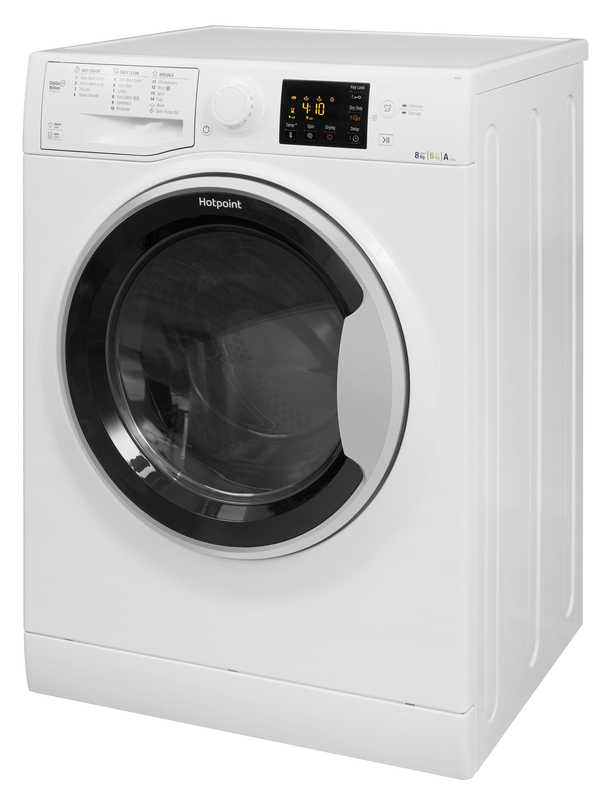 The Ultima S-Line Washer Dryer in white (RG 864 S UK) brings together 16 intuitive features with a 9kg drum and clever sensor and stain removal technology to accommodate every wash and tumble drying requirement. Remove stains at lower temperatures Incorporating Hotpoint's innovative Direct Injection Technology, remove more than 100 stains at 20° thanks to a superior water and detergent premix injected directly into the wash. By infusing the detergent and water before it reaches your laundry, cleaning enzymes are activated faster, penetrating fibres deeper and delivering up to 60% more cleaning power, even at low temperatures. Remedying those emergency laundry moments, Ready to Wear provides an effective wash and dry cycle in just 45 minutes to help get your day back on track, whilst the Fast Wash cycle offers another option to quickly get through loads. Perfect for allergy sufferers For those who suffer from sensitivity to pollen, dust and pet dander, the Ultima S-Line includes an Anti-Allergy wash and rinse cycle, so effective it removes 99.9% of major allergens and has been awarded the Allergy UK Seal of Approval. Providing extra peace of mind, Steam Technology uses natural cleaning power at the end of the cycle to give an extra level of deep, intensive cleaning to your laundry making it ideal for pet blankets and towels. Gentle care for your woollens Complementing its exceptional washing options, the Ultima S-Line provides variable cycles for the same great level of considerate tumble drying. With a dedicated spin for every fabric type, carrying The Woolmark Platinum badge, you can tumble with confidence that your knits will receive extra special care to keep their fibres protected and full of bounce. Using gentle rotations, woollens face less friction and stress, helping them retain shape and snugness. Super silent Delivering variable spin speeds of up to 1400rpm, the Super Silent Motor also prevents your laundry duties from disturbing family moments as special sound insulting panels and an advanced brushless motor reduces noise levels dramatically. Capable of tackling every challenge your household has to offer, with multiple programs including Super Wash, Fast Wash, Eco and Delicate cycles, the Ultima S-Line is designed for every eventuality whether it's renewing brightness in school shirts, lifting stubborn marks out of jeans or quickly washing the gym kit ready for another work-out. 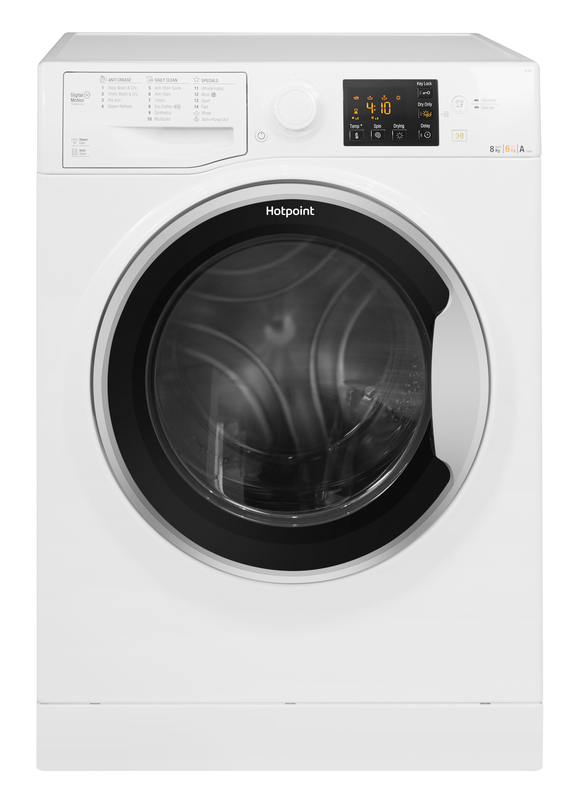 Freeing your time, the Ultima S-Line Washer Dryer (RG 864 S UK) has all the technology you need, while its sleek, eye-catching design will fit seamlessly into every kitchen and utility room.